As the first post in my blog, I’m going to do something completely “new” introduce myself. A hello to you, probably one of the three people who’ll be reading this. 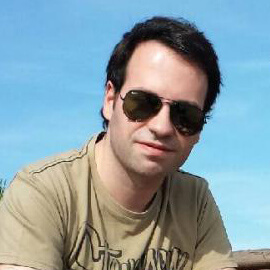 So hi, my name is Ricardo I’m from Portugal and I’m a professional webdesigner and developer since 2007, and after so many years building my own cms and managing tools I’ve (truly) discovered WordPress in July 2012 and I’m loving it! I consider myself a fanatic and evangelist of WordPress, for me the CMS, blogging and even ecommerce solution for everyone, from small to large projects and clients. I’ve been pushed to start my blog by my team leader @vitorsilva and I’m now ready and eager to start sharing my experience and opinions on WordPress development, Webdesign, Front-end development, Branding and other stuff I might write about in the future.